Likud MK says now is the time to resume construction in Judea, Samaria and Jerusalem in the wake of Trump's election. 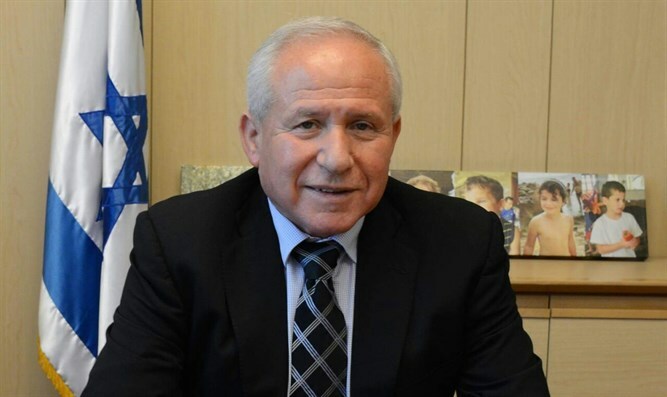 MK Avi Dichter (Likud), chairman of the Foreign Affairs and Defense Committee, on Saturday called for the resumption of construction in Judea, Samaria and Jerusalem in the wake of the election of Donald Trump in the United States. "Six years ago, the U.S. government pressured Prime Minister Netanyahu to freeze construction in the pre-1967 areas, including Jerusalem, in order to soften the Palestinian side. I warned then that the Palestinians would do nothing for 11 months and then ‘surprise’ with a demand to extend the moratorium for another year in order to move towards a resumption of talks. Since then the freeze has continued and the renewed talks with the Palestinians are not on the agenda," said Dichter. "There is nothing more just than to allow children to build their homes in the communities to which they were sent by previous Israeli governments, even if they are in Judea and Samaria,” he continued. “The time has come and it seems that circumstances are ripe, with the introduction of a new and different president in the U.S., to end the freeze and resume the construction boom in Jerusalem and in the communities in Judea and Samaria. The Palestinian leaders must understand that running away from talks comes at a price. Israel will not continue the freeze until the other side enters into a dialogue," stressed Dichter. "We will develop Jerusalem vigorously and build towns in order to provide their residents with the most basic need – the need for housing! We will do this with determination and sensitivity, while maintaining the law," he concluded. There have been renewed calls this past week on the government to resume construction in Judea and Samaria in the wake of Trump’s election. The Knesset’s Land of Israel Caucus issued such a call on Wednesday, a day after Trump's election victory. "We believe that the policy of freezing (construction) and preventing the expansion of settlements has ended. We will stop talking about 'two states' and start talking about building, settlements, and sovereignty. We have a stable national government, but international pressure has prevented us from implementing the policy we wanted. Today that has begun to change in a significant way," said caucus co-chairman MK Yoav Kisch (Likud). He added, "We appreciate President Obama's support for Israel-whether it be in the recent military aid package or the prevention of one-sided resolutions against Israel at the UN and other international institutions. We are confident that he will not force upon the incoming president a different political situation than the one that exists today."